Gideon Yu is the co-owner and former President of the San Francisco 49ers. He was the first President of color of any team in the history of the National Football League. 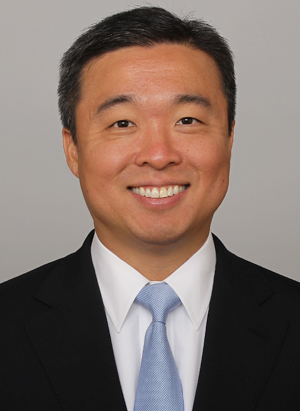 Yu led the financing and building of Levi’s Stadium, which included the largest stadium construction loan in the history of professional sports and the largest long-term stadium financing in NFL history. During his operating tenure with the 49ers, the team went to three consecutive NFC championship games and played in Super Bowl XLVII. Yu is the Executive Chairman of Bowers & Wilkins, one of the leading brands in home audio. This role is the result of the startup he co-founded in 2014, EVA Automation, acquiring 50-year old Bowers & Wilkins in 2016. Previously, Yu was the Chief Financial Officer of both Facebook and YouTube, the first two Internet companies to achieve one billion active users. At YouTube, he negotiated its $1.65 billion sale to Google amidst a highly competitive auction for the company. At Facebook, he led the $375 million investment round from Microsoft and Hong-Kong billionaire Li Ka Shing at a then record setting $15 billion valuation. Yu was also a General Partner at Khosla Ventures, where he led the firm’s founding investment in Square, founded by Jack Dorsey (founder of Twitter) and was the company’s first outside board member. Yu was also Treasurer and SVP of Finance at Yahoo, where he executed over 30 acquisitions / investments, including Alibaba, Overture, and Flickr. Yu was previously named to the “Executive Dream Team, Startup Edition” by Fortune Magazine, and listed among the “Names You Need To Know” by Forbes Magazine. Yu serves on the board of the Monterey Bay Aquarium and is active in the Navy SEAL Foundation. Gideon received his MBA from Harvard and BS in Industrial Engineering and Engineering Management from Stanford. Most important to Yu, however, are his wife, Susie and his two angels, Jonathan and Emily. Yu is an alumnus of the 1989 International Science and Engineering Fair. He joined the Society’s Board of Trustees in 2018.